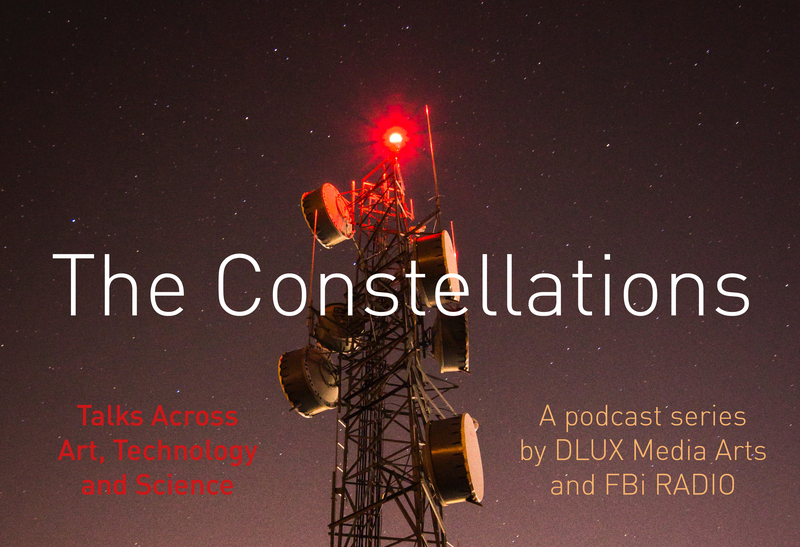 In partnership with FBi Radio, DLUX MediaArts is launching a new program of discourse on art practices that operate at the intersections of science and technology. The Constellations will begin to map the field of experimental, interdisciplinary, transdisciplinary and new media arts enquiry in Sydney and beyond. The intent is to provide a platform for discussing the issues that are driving artists and their collaborators in the research and development of new work. Each program looks into artworks that take on non-human intelligences, robotics, screen culture, virtual reality, new digital platforms, health and medicine, data, community and storytelling, as well as speculations on the future possibilities of art. The Constellations will be available to audiences as both a series of live events held at 107 Projects, Redfern and as podcasts. Each event focuses on collaborative practice, reciprocity and what motivates creative people across disciplines to work with each other towards shared goals. 26 June: The Heart with artist George Khut & collaborators Angie Morrow and Katarina Ostojic, on ‘Bright Hearts’. 31 July: The Pain with artist Eugenie Lee & collaborator Tasha Stanton, on ‘Seeing is Believing’. 7 August: The Smells with artist Cat Jones & collaborators (TBC). 28 August: The Cells with artist Helen Pynor & collaborator Jochen Rink on ‘The End is a Distant Memory’. 11 September: The Earth with artist Grayson Cooke & collaborator Emma Walker on ‘Open Air’. September (date TBC): The Soil with artists Lucas Ihlein and Kim Williams & collaborators on ‘Sugar vs The Reef’. 2 October: The Atmosphere with artists David Haines and Joyce Hinterding & collaborators on ‘Soundship Descender’. 30 October: The Data with artist Baden Pailthorpe & collaborator Aaron Coutts on ‘Clanger’. The Constellations 2018 program is curated by Bec Dean and has been made possible with the support of the NSW Government through Create NSW, and the support of the City of Sydney. Project partners: Canvas: Art & Ideas on FBi Radio and 107, Redfern. Find out more on Facebook and register to attend The Heart with artist George Khut & collaborators on 26 June here.